A sometimes-irreverent look at Detroit's Boys of Summer, the Tigers, as they try to return to the top of the American League Central. DETROIT — Eighty years after Hank Greenberg’s legendary decision not to play on the Jewish High Holidays in a pennant chase, the Detroit Tigers will hold Jewish Heritage Sunday at Comerica Park. 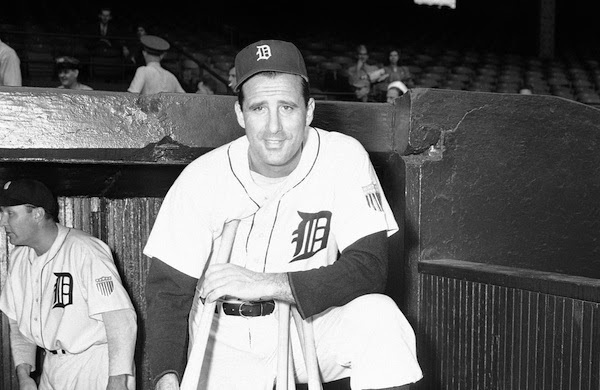 Nicknamed “The Hebrew Hammer,” and the first Jewish ballplayer to be inducted into the Baseball Hall of Fame, Greenberg was a four-time All-Star and a two-time American League MVP with the Tigers. His No. 5 is retired by the club. Greenberg chose to play on Rosh Hashanah, and hit two home runs in a 2-1 win over Boston, putting the Tigers 4 1/2 games up, but did not play on Yom Kippur, a 5-2 loss to the Yankees. The Tigers went on to win the 1934 pennant — their first in 25 seasons — by seven games, before losing to the Cardinals in the World Series. A donation will be made to the Michigan Jewish Sports Foundation for each upper box infield or upper reserve ticket sold. Matthew B. Mowery formerly covered the Detroit Tigers for The Oakland Press. He has also been the college writer and lead sports copy editor for the paper. Prior to his arrival in Pontiac in 2006, Mowery previously worked at The Morning Sun in Mt. Pleasant, The Alpena News and the Midland Daily News. He's covered every possible corner of the sports world, from preps to pros, from tennis to Lions training camp for The Associated Press.